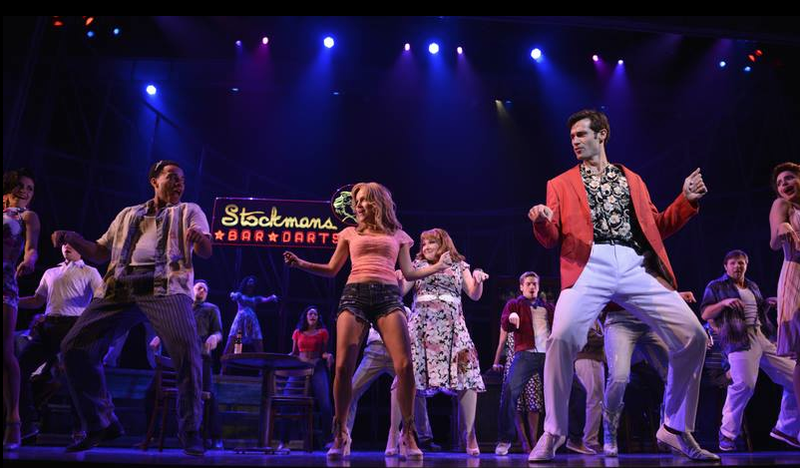 I must confess that I was in Atlanta Saturday night for a musical. 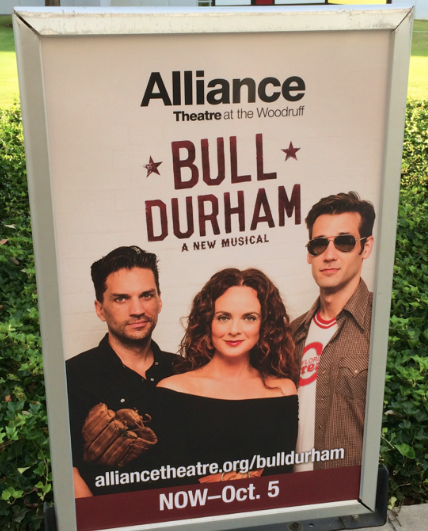 While the Governors' Cup Championship series was winding down in Durham, I was at the off Broadway premier of Bull Durham - A New Musical. 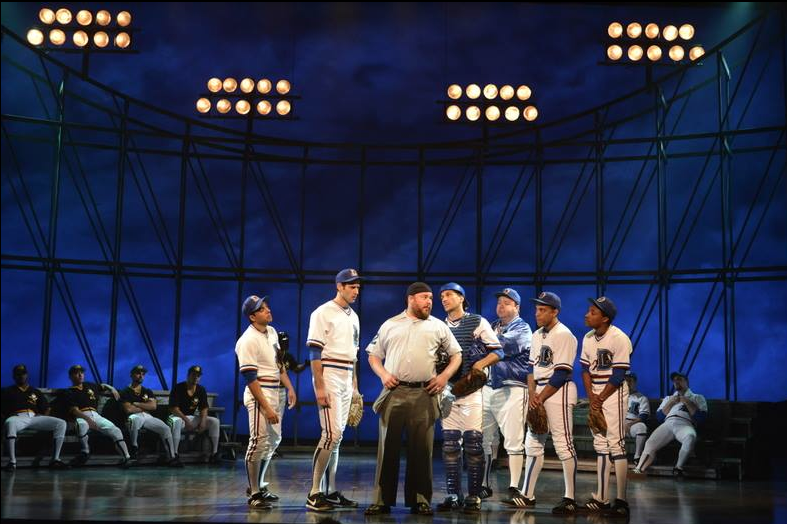 The Bulls came up short - congratz to the PawSox - but the show received a standing ovation. Yes, I'm biased. This new Bull Durham is a wonderful extension of the iconic movie. The stage characters compare favorably with the movie stars. It's raucous (and still R-rated.) The choreography is energetic. (Men dancing with baseball bats is something to behold.) There are several memorable songs. Big fun! Here's a review from Variety. I'm inclined to believe it suggests the show has potential for Broadway next year. Critics are paid to be critical, but remember, the audience was on its feet at the end of the show. 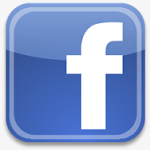 Check out the chatter on Twitter at #BullDurhamMusical. Hank Aaron & wife Billye were honored before the show. 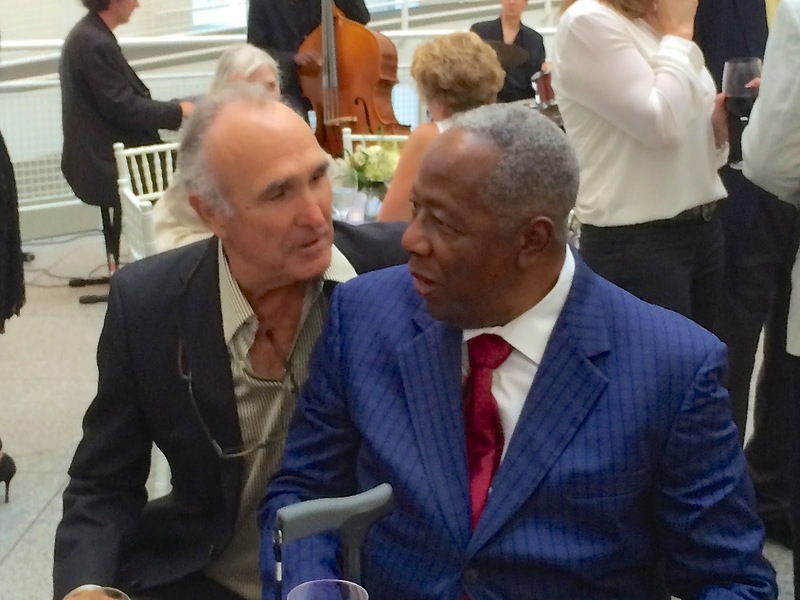 Bull Durham's creator Ron Shelton chats with Aaron. Composer-lyricist Susan Werner at the keyboard. Even the caterer represents the Durham Bulls. I assumed that we could grab a satellite feed of tonight's Bulls-PawSox game from Pawtucket for MeTV, but it proved difficult. So, with a modicum of internal debate, we dispatched a TV5 satellite truck and intrepid engineer Tony Gupton to RI. 700 miles on I-95 and 11 hours later...problem solved! Join us at the DBAP Thursday night as the championship series moves from Pawtucket to downtown Durham.